Always difficult... What to pack? Get answers in this article. Are you considering to take a Gap Year or go on a long trip? That is great! I would like to share my experiences with you. In addition I would like to talk about my fears and how I dealt with them. 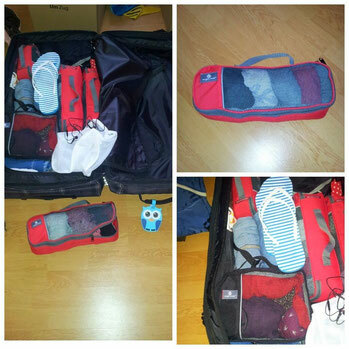 As well I have some information for the the interesting question: how to organize and plan your luggage. When first traveled alone in 2009 through Ireland I knew: I want to move abroad and travel. But it took me 3 years to make my decision, quit my secure job and move out of my apartment and travel. In my case I feared to lose my social status, my material thing sand that I would never get a job like that again... Well, actually nothing really serious or rather which would bring me in danger. I spent effort to get my job, I spent effort to do a great job and all the material things were nice to have but I was not happy with my situation. I felt narrowed. I recognized that I took this job because it gave me security and structure. When I was 10 years old my parents divorced and since then they had often to struggle with money and they had to sell our house etc. So I got the strong wish to have a job which is secure and structured. I started asking myself: "What is that what I really want...?" Honestly, what could be the highest risk? I imagined the worst case for me could be that I am in the middle of nowhere without any money etc. Well, before that I would still have many solutions. Therefore I stepped out of my comfort zone and left the secure bubble. When I decided to quit my job, sell the most of my stuff and move out from my nice apartment I have nothing to lose anymore! Therefore my fear was gone :-). Second Step: How can I travel the world and stay in the budget? I checked out different things and compared the advantages and disadvantages for me. Here is an overview for you. You create your profile with an authentic and nice introduction, than you can check out different hosts in the country you want to go and get in contact with them and ask if you can help. For Workaway I contributed my experience in their eBook. Work camps are projects where people from different countries come together and work together for a certain time period. There many other opportunities to volunteer and exchange with different cultures. For example I volunteered in Spain in a Buddhism center. Check out websites at the areas you want to go and look for volunteering programs. Communities are looking also for volunteers in exchange for food and accommodation. Just check their websites. I like the balance between volunteering and travelling. Sometimes I want to get to know to travelers and sometimes I want to be on my own. + I like to stay in hostels due to you can get to know to very nice and mind-like people. I made many friends there. Another cheap option might be AirBnB. That means a private person rents a room in their house. A bed or couch for free you can find on Couchsurfing. Hosts offer you a bed or couch for free in there house. You don't have to pay anything but I recommend to give something back in exchange like a gift, a dinner or what ever. I did Couchsurfing a couple if times. Read always carefully their feedback. Also when the have a lot already check it out. Sometimes people give feedback even they haven't been there but the write in the feedback "Thanks for your kind offer to stay at your place but I found something...". + I like the philosophy behind it to exchange with other people. You can get to know to very interesting ones. I even wrote to people when I had already a place but wanted to hang out with someone. Third step: What to organize before I leave? Depending on what you are planning there are some things to organize before you leave. I started planning 6 month before I left Germany and worked at that time full-time. What is my budget and how can I finance my journey? I created an Excel-Sheet in which I made a budget plan. It included budget, fix costs, and my monthly, weekly and daily budget etc. What are the things to cancel and their cancellation periods? I wrote all done like phone, internet, TV, insurance I don't need anymore, apartment, job, Pilates course, my dancing lessons etc. Some provider have special cancellation periods when you are leaving your country for a longer period of time. I took one who are specialized on people who taking a Gap Year and longer. I suggest to check out which is exactly covered and what is to do in case you need it. Also make sure that you can extend it before it expires. Which documents should be translated into English? I let my letter of reference translate with help of a suggested company in case I will want to apply for a job. It is worth the money to take a serious one company even they are a bit more expensive. Which documents do I need and where can I save them? I scanned a lot of my documents like my passport, driver licence, different certifications, CV, application letter, former bank statements, former income statement, my trainer lectures etc. I saved them as PDF in a cloud. There are many provider like amazon or Google Drive who offer free GB and you have access with user and password. You can reach your documents from every computer in case in need them. What to pack and take with me on my journey? 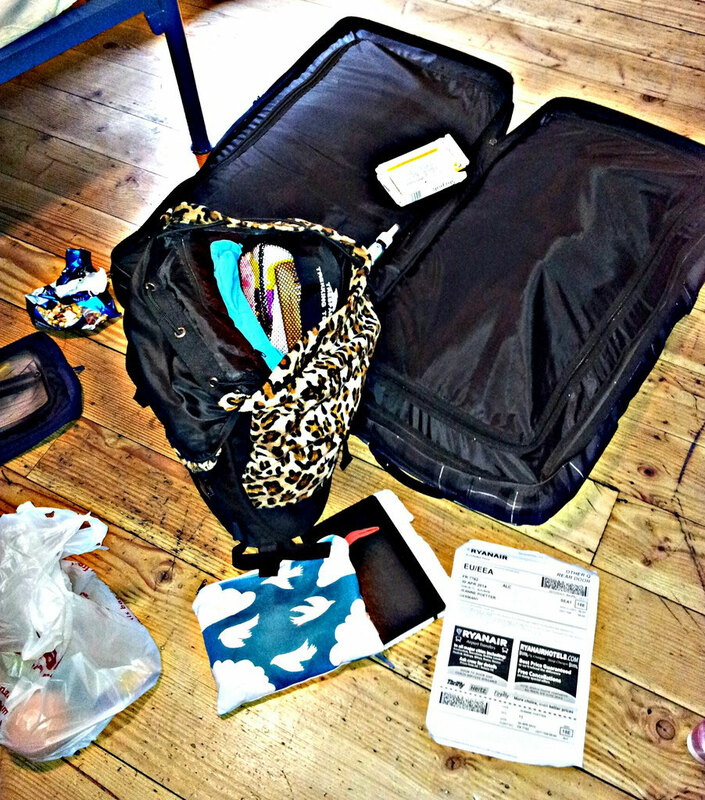 The sites Legal Nomads and Travel Fashion Girl (TFG) helped me to plan what to pack and which luggage is eligible for me. Now I see that I took too much clothes with me because some of them I never wore so far. I gave some items to my brother when he visited me in Dublin. But I have still too much with me :-). For my trip to Spain I just used my small backpack for 2 month and it is absolutely fine. When you arrive at your new place in another country or where ever give yourself some time to settle in. I overdid it on my first day. I just underestimated the stress before and that I would rather need some rest and relax. I came to Dublin in Ireland and was the whole day on my feet until I was very tired. During the night in my hostel I felt sick and run to the bathroom. There I passed out because my body was just tired. I woke up after some minutes and had a very bad head ache and pain in my neck due to I banged my head against the step of the shower... I felt very bad in that situation. What helped me was to think about my mum who said that she would pick me up everywhere and my friend Insa who supported me always. So relax and enjoy your first weeks :-).